La Roche-Posay Anthelios Review: Should You Really Buy This Product? 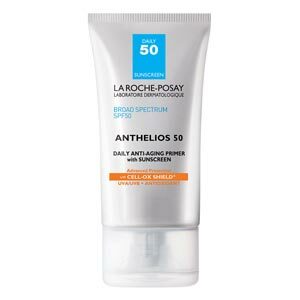 From L’Oreal Group’s subsidiary company, La Roche-Posay comes Anthelios SX SPF 15 broad spectrum, US $29.99. 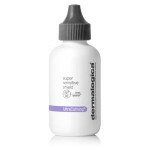 This product provides daily dual function for the benefit of your skin. 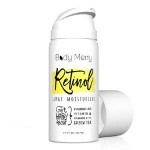 It contains chemical sunscreen actives, Mexoryl SX (ecamsule), Avobenzone and Octocrylene, which work together in providing effective and efficient protection for your skin against the sun’s harmful UVA and UVB radiation. Both sunscreen actives are relatively less irritating compared to its other chemical sunscreen counterparts. 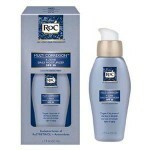 This product is formulated with a 24/7 moisture release mechanism that keeps skin well hydrated all day and all night. Key moisturizers and skin conditioners infused in the formulation include glycerin and a host of silicones that leave skin with a smooth, supple feel and moisture that goes deep within. La Roche-Posay claims that this product is designed to suit all skin types with premium consideration made for improving skin tolerance to the risk for irritation commonly brought about by chemical sunscreen actives. Nevertheless, the manufacturer also labels it best for normal skin. 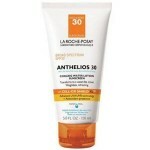 La Roche-Posay Anthelios SX SPF 15 broad spectrum must only be applied to skin that’s been thoroughly cleansed and toned. If cosmetics will be used, use this product under makeup. Let skin absorb it well before layering with makeup. Apply on skin at least 15 minutes before sun exposure. Re-application every 1.5 to 2 hours is necessary to keep and maintain the product’s potency in effectively shielding skin from the damaging after effects of both UVA and UVB. Broad spectrum sun protection that includes hydrating benefits is sometimes difficult to find, but La Roche-Posay Anthelios SX SPF 15 claims to give you the protection you need, without causing dry skin or irritation. Although this product sounds great overall, there are several issues we’d like to address before you consider purchasing. 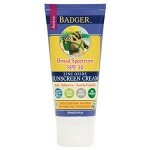 The most obvious issue is the amount of broad spectrum SPF included in this product. An SPF of 15 is simply not enough protection for a serious anti-aging remedy. Additionally, this product contains silicones, which can build up on the surface of the skin and increase irritation. Hydrating products are supposed to allow the skin to breathe and this product builds up and inhibits the skin from acting naturally. This product also leaves out some necessary antioxidants to truly be considered as a hydrating, protective sunscreen. We’d recommend continuing your search for a lightweight, paraben-free formula, with at least 30 SPF. We all need products that we can entrust our skin health with but we don’t all have the same skin needs. Your ideal skincare regimen must be consistent with your personal skincare philosophy which, in turn, must take into consideration your skin type and your skin needs.